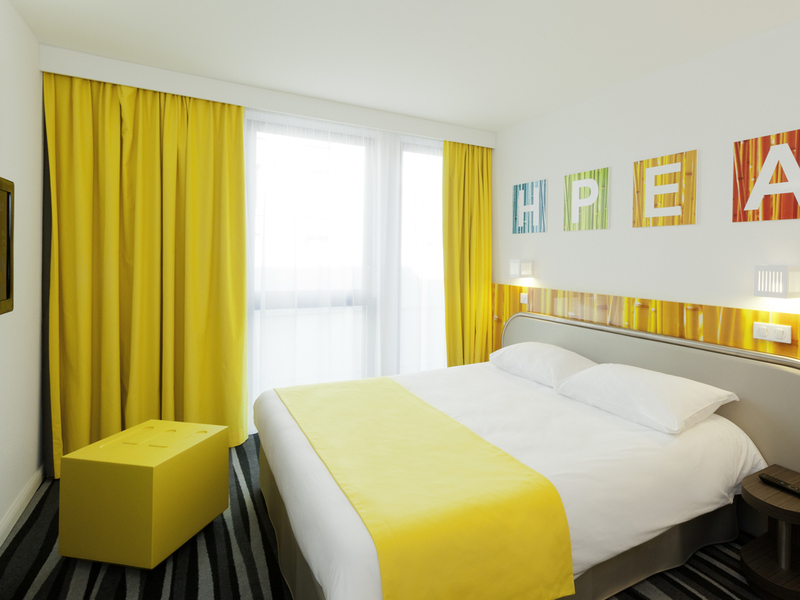 We look forward to welcoming you to the ibis Styles Paris Porte d'Orléans hotel! Enjoy a few moments of relaxation on our new terrace in the garden before heading to the heart of the capital and its main attractions! The ibis Styles Paris Porte d'Orléans hotel is located in Montrouge, on the doorstep of the 14th arrondissement, 15 minutes from Montparnasse train station and central Paris. This 3-star hotel features 115 comfortable, colorful, spacious and soundproofed rooms with buffet breakfast included. There is also a children's play area, bar and snack service, private car park (charges apply), 2 fully equipped meeting rooms and an interior garden with terrace. With a stylish, colorful ambience, our 115 spacious rooms are equipped with soft duvets and relaxation pillows, bringing you optimum comfort for a truly restful night. Les Quatre Saisons bar is perfect for getting together with colleagues or friends for a drink in a friendly, relaxed atmosphere. There is also a 24-hour snack service offering sweet and savory treats. İlk gece yağan yoğun yağmur nedeniyle odalardan birisinin tavanı aktı. O gece otel dolu olduğu için bir şey yapamadılar. Ertesi gün odamızı değiştirdiler. Yardımcı oldular. Bunu ciddi bir sorun olarak görmedik.